Store beer kegs safely with keg racks from Focus Foodservice. 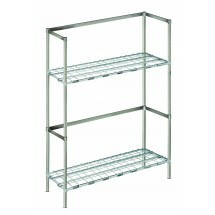 Beer keg racks feature heavy duty chromate shelves with frames on two sides and removable mats that are sturdy enough to bear the weight of up to 6 beer kegs. 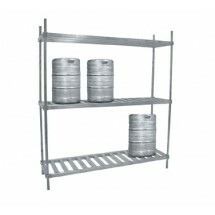 With capacities ranging from 4- 10 kegs, these durable racks will last for years in bars and restaurants.